Hi all! I just wanted to pop in quickly to share a new video tutorial that is now live over at my YouTube Channel! 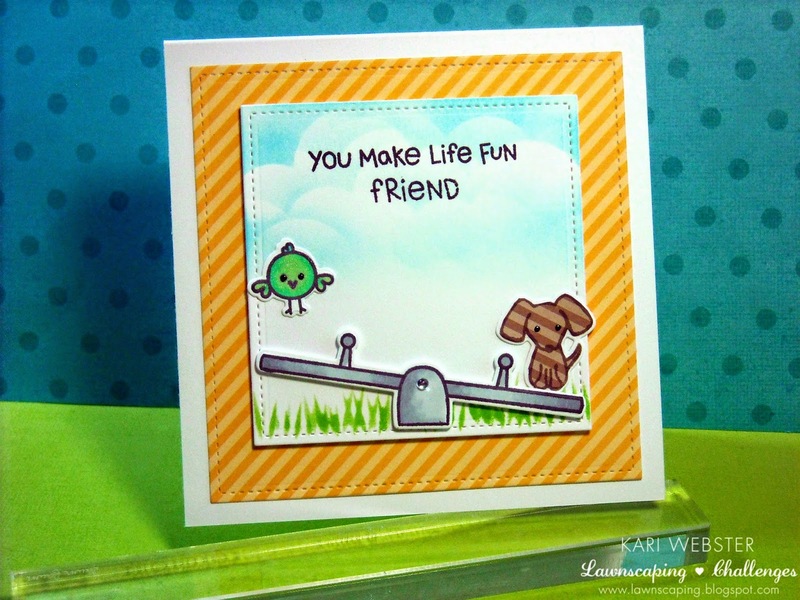 I used some Distress Inks, and several products from Simon Says Stamp! Hope you all are having a wonderful weekend! 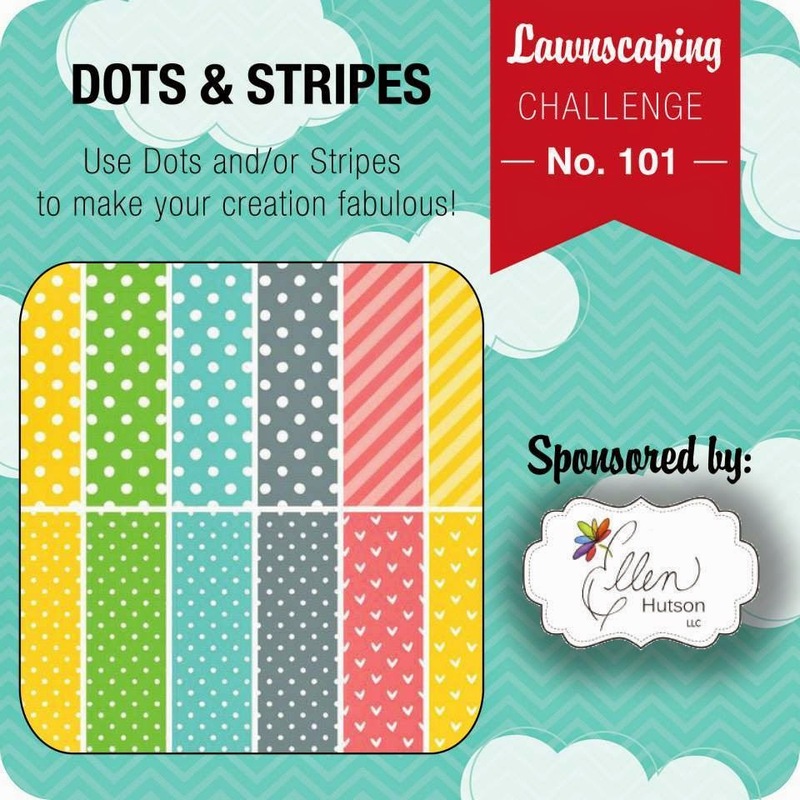 Annnnddd, we are back for a new challenge for Lawnscaping! Can you believe it, time is flyin' by so fast!! So - do you like distressed projects - the look of them, the feel of them? This challenge is for you! 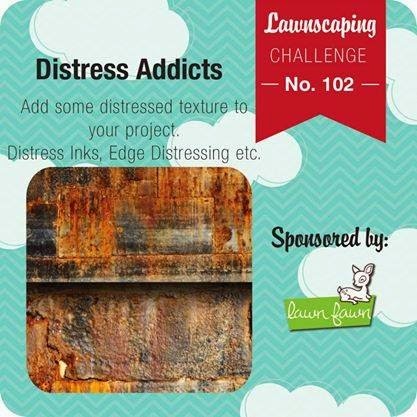 We invite you to pull out your Distress Inks and tools to make a project that has that distressed look. 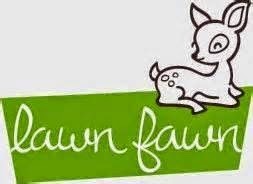 Before I head into the details of my card - I also want to tell you that this challenge is sponsored by the one and only Lawn Fawn! How awesome is that. If you link up your project - you will have a change to win a $25 dollar gift certificate! OK - for my card I wanted to make a "pretty distressed" card - I don't make to many projects with a distressed look, but I like to have fun with it when I can. So - I recently picked up the two newest Distress Ink colors - Cracked Pistachio and Abandoned Coral. These are beautiful inks! And, the best property about these inks is they react with water - so I inked up my water color paper with these two colors, and then I took the diamond pattern from Argyle Backdrops, and I mounted my stamp on my block and then spritzed my stamp with water and stamped directly down onto my background. The ink wicks away and leaves that pattern into the ink! Cool huh?! One of my favorite techniques! I wanted my background to be the star of the show, so I kept the rest of the card simple. 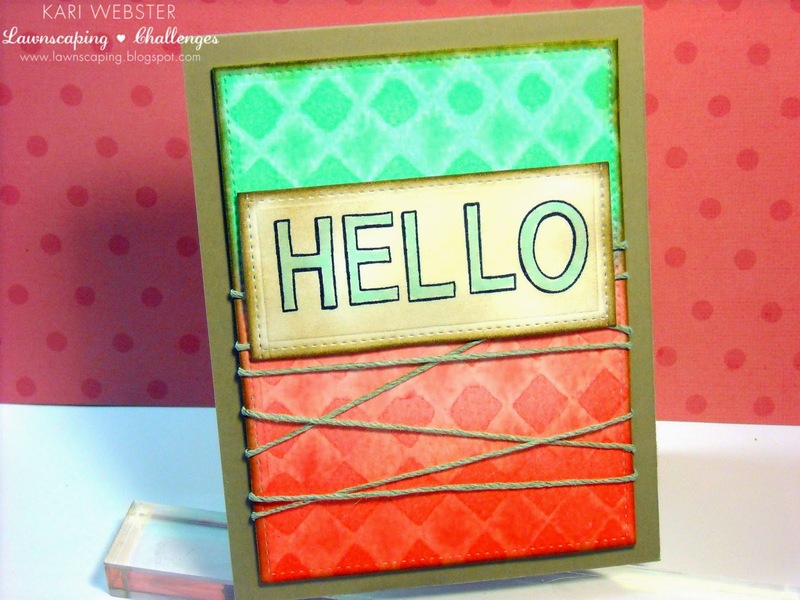 I stamped "hello" from Capital Quinn ABC's and die cut it out using one of the Stitched Rectangle Stackables dies. I slightly colored in the hello with a BG 11 Copic Marker and then I inked up the background with Old Paper distress ink and on the edges, Walnut Stain. I did the same for the edges of the background piece. Then, I wrapped some Lawn Trimmings twine around the main panel, and then adhered all the pieces together with foam adhesive and adhered it to my Chocolate Malt card base. I hope this has inspired you to get inky and distress something!! See you over at the gallery!! Hi everyone!! I have a fun and special post and video to share with all of you. My sweetest and dear friend Christy from Christy Gets Crafty and I came together to do a card collaboration. 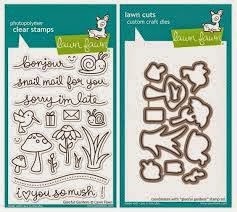 We used the stamp stamp set and color combination. 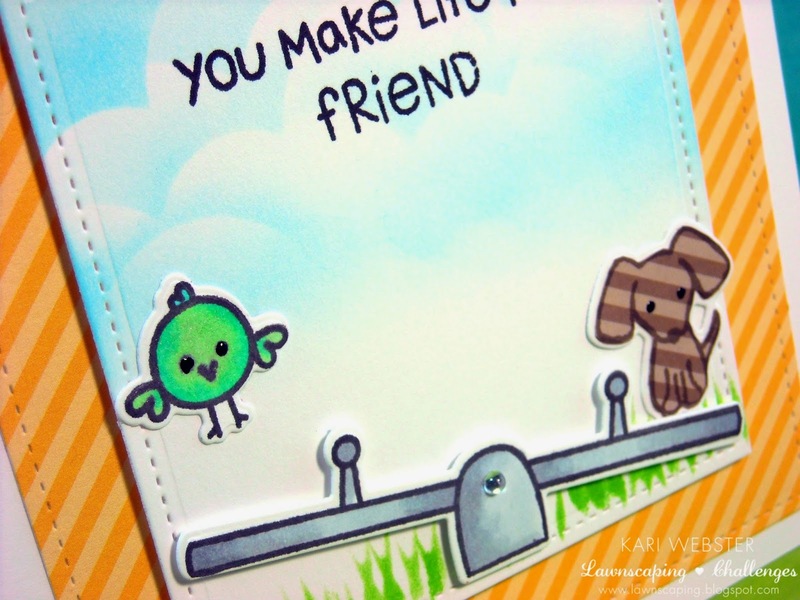 She chose the stamp set Gleeful Gardens from Lawn Fawn and I chose the color combination that we used. I chose it from Pinterest. I think these two combos worked well together!! I got brave and decided to do some water coloring for my card. 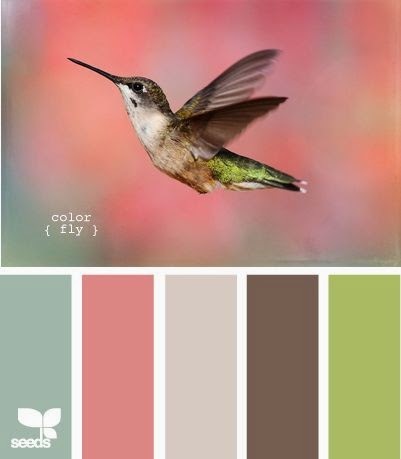 When I saw the color combo picture, I immediately thought of water color. So - that is what I tried my hand at. 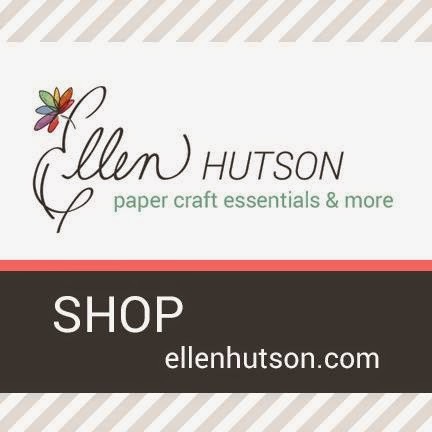 I started die cutting my water color card stock from Tim Holtz with the largest of the Small Stitched Square frame dies from Lawn Fawn, and then I prepped my card stock with my embossing buddy powder bag for embossing. I embossed all of my images with my Hero Arts White Embossing Powder, and heat set it with my heat tool. Then, I used 5 Distress Ink colors to do my water coloring - Evergreen Bough, Worn Lipstick, Old Paper, Gathered Twigs, and Shabby Shutters. If you watch the video you will see I had a lot of area to cover, but I think the end result turned out pretty well! Once I was done with the water coloring, I sprayed my piece with Mister Huey's Shine Spray Mist and it gave it something extra and it didn't look so flat. I then prepared the rest of my elements by die cutting a piece of pattern paper from an older 6x6 pad I had. I used the Neopolitan 6x6 from Dear Lizzy. I die cut it using the Large Stitched Square frame and I created my card base from a piece of Butter Mints card stock. I cut it down to 10 x 5 and scored it at 5 inches to create a square card. I adhered my pieces together and called it done! I enjoyed doing this collab with Christy. She is a dear friend and such an amazing talent!! I am a lucky gal to have her in my life and as a friend!! Please go check out her card HERE for this collaboration and there you will have a link to her video as well!! !